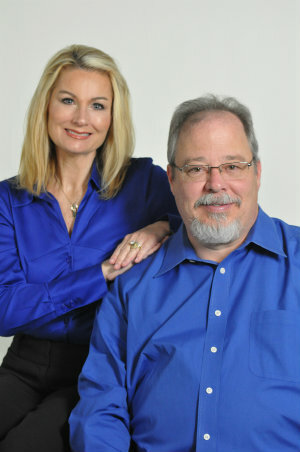 Your Arizona Real Estate Team !! Whether you are buying or selling a home, our pledge to you is to provide an unparalleled level of service by fully incorporating your needs and input into every transaction. We deliver expert guidance, personalized solutions, aggressive marketing, and masterfully negotiate the most profitable transactions for our clients. We approach every transaction as though it is the most important one of our careers because for you - it is. Our team of seasoned real estate professionals takes pride in the relationships we’ve built with our clients over the years and continues to be trusted advisers our clients come to for all industry information and assistance. Our commitment to you is to address even the smallest of details to ensure you are left with a positive and memorable experience. We want to be the Team of REALTORS® you turn to for life. Ben was born and raised in Hays, KS. After graduating from Fort Hays State University with a degree in Business Management, Ben moved to Arizona in 1987 and began his real estate career. After 10 years in the real estate business, Ben joined Realty Executives, aligning himself with the most cutting edge and well-respected company in the Phoenix Metro Area. Since 1987 Ben has represented several thousand sellers, buyers, landlords and tenants. His successful real estate career has been built on clients who consistently called him for all their real estate needs. Because of the stellar service he provides, those clients continue to hire Ben while also referring him to their family and friends - confident that they too will become raving fans. Ben is an esteemed member of: Realty Executives’ Hall of Fame, Realty Executives’ Executive Club and Realty Executives’ 100% Club. A second generation Arizona Native, Julie was raised in North Scottsdale and has called Gilbert home since 1996. Julie attended Arizona State University with a major in Communications and began her real estate career in 1994. She spent 18 years of her career in new home sales for some of the Valley’s largest home builders. During that time, she earned awards for Top Sales Achievements and Superior Customer Satisfaction. Julie served on the National Advisory Council for Meritage Homes and went on to serve on the Sales Leadership Team and Ambassador Team for K. Hovnanian Homes. Julie retired from new home sales to team with Ben in 2015. Her experience in client relations, contract negotiations and leadership mentoring has proven to be a key element to her success at Realty Executives. Her strength in creative design, eMarketing and social media allows her to run aggressive marketing campaigns for all listing and team endeavors. Keta was born in California but after 21 years here in Arizona she feels like a Valley Native. Keta has watched Phoenix Metro grow into one of the most dynamic real estate markets in the country. Her passion for real estate led her to the Scottsdale School of Business where she earned her real estate license in 2002. Keta quickly ventured into new home sales and became a top-producing Agent working for some of the Valley's most prominent homebuilders and developers. She has helped facilitate hundreds of successful transactions with over $125 million in real estate sold. Whether it is the purchase or sale of your home, let Keta's years of experience and customer service work for you.